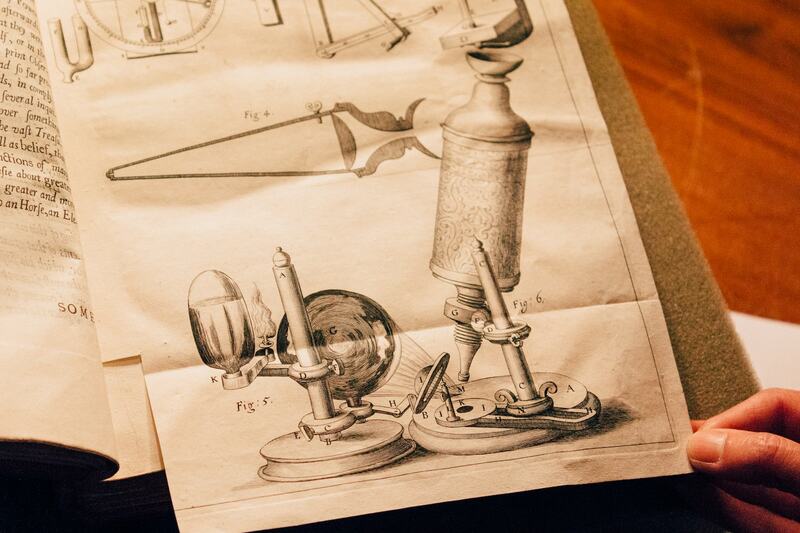 One day, the British scientist and “natural philosopher” Robert Hooke bent over a microscope that he’d constructed himself. 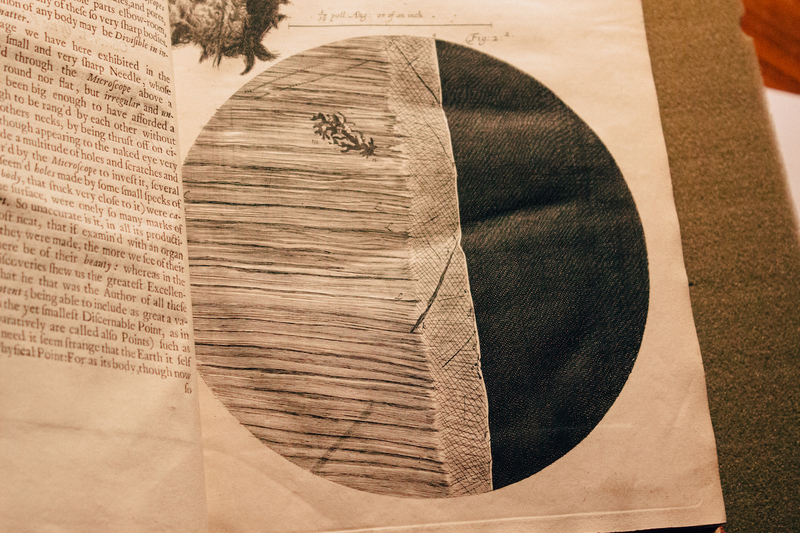 He’d studied plenty of objects under the microscope before—the tip of a needle, a printed dot, snowflakes—but when he sketched and named this particular observation, he would take a word previously known for its religious connotations and bring it into the world of science. Underneath the microscope was a piece of cork. 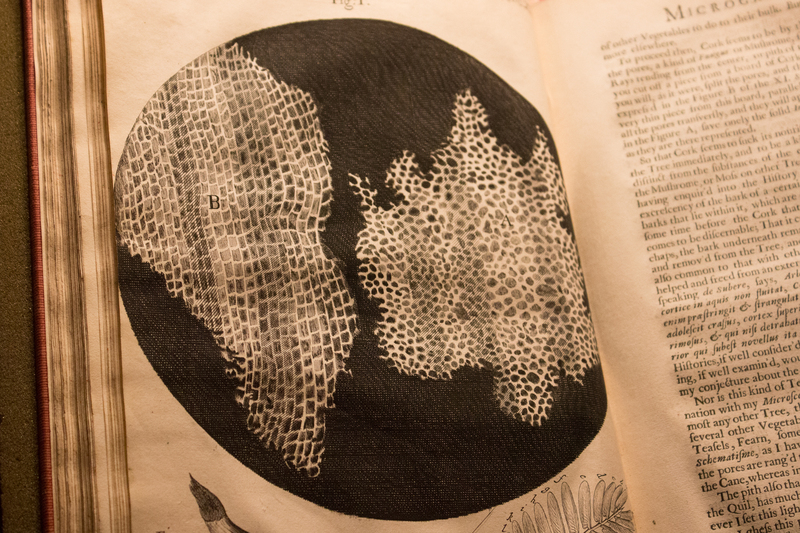 When magnified, Hooke saw that the cork had a series of shallow, walled boxes or “pores.” We now know that Hooke was seeing the xylem structure, or specialized tissue in vascular plants, of the dead cork. The story goes that the small boxes reminded the scientist of the rooms that monks stayed in, which were called cellula. 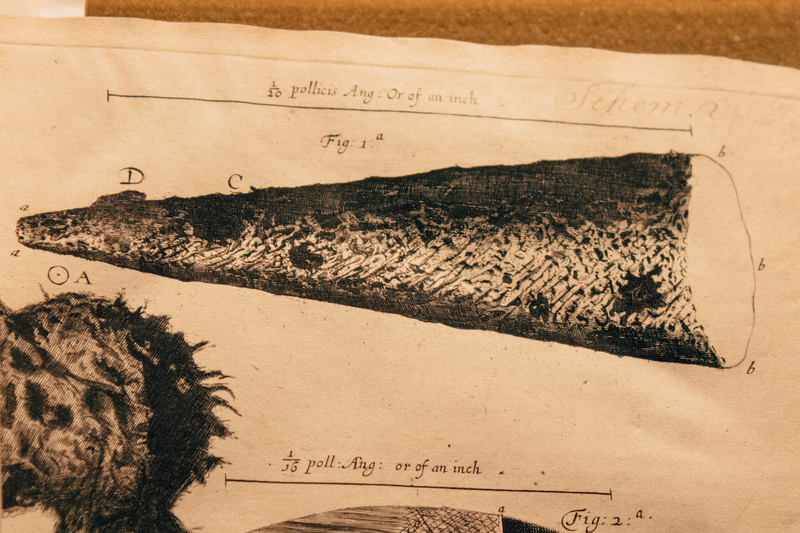 Later, when Hooke wrote about and illustrated what he saw under the microscope in his 1665 book Micrographia: Or Some Physiological Descriptions of Minute Bodies Made by Magnifying Glasses with Observations and Inquiries Thereupon, he used the word cell to describe what he was seeing—the first known person to do so in this context. 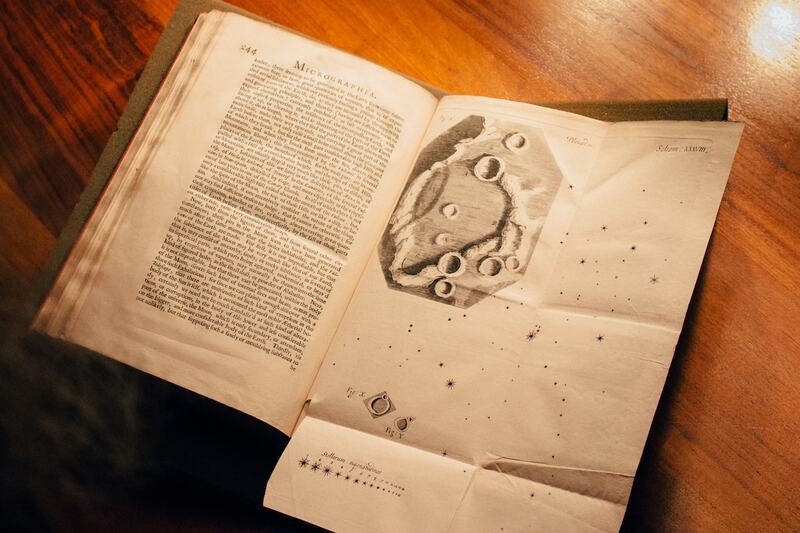 While cell theory as we know it today wouldn’t begin to develop for another century and a half, his book is the reason we use the word cell to describe the smallest functional unit capable of life. 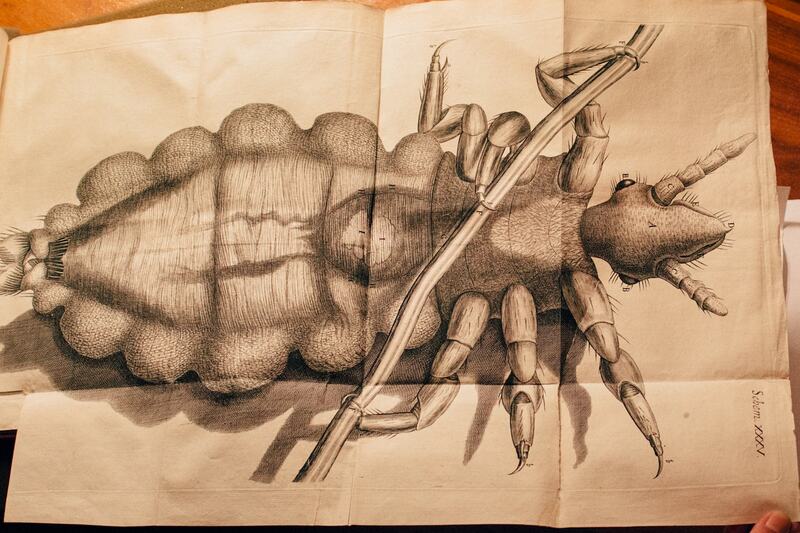 Hooke began by examining inanimate objects, then turned his eye to living creatures. 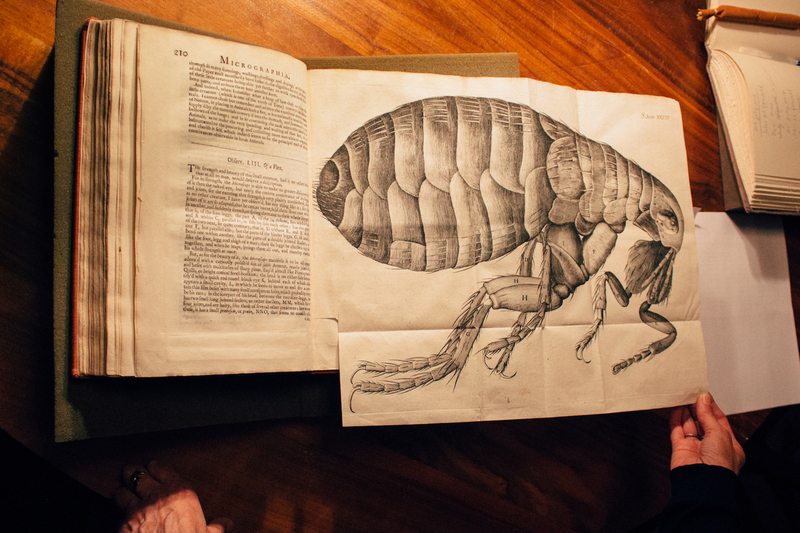 Science Friday recently got a chance to see an original copy of Micrographia at the New York Academy of Medicine and see some of the wonders he examined first-hand. 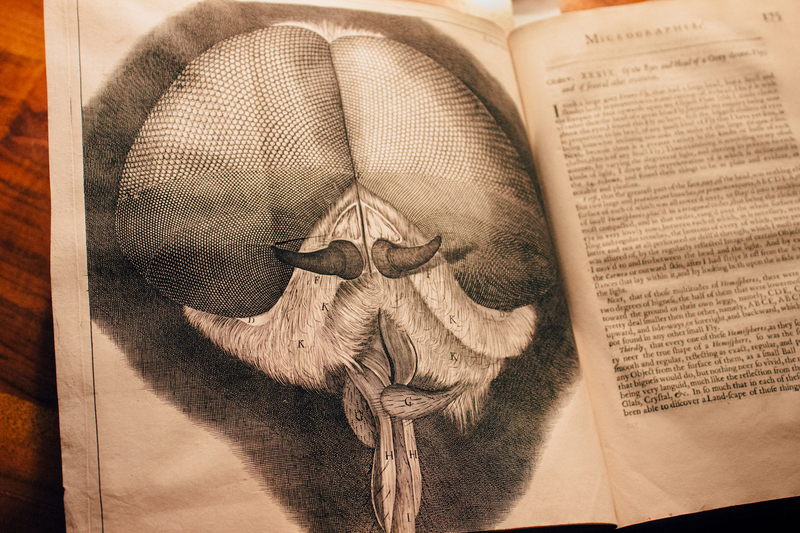 Hooke initially trained his microscope on inanimate objects, and showed the world that what we thought to be so sharp and clear, like the point of a needle or the edge of a razor blade, could in reality be much messier. 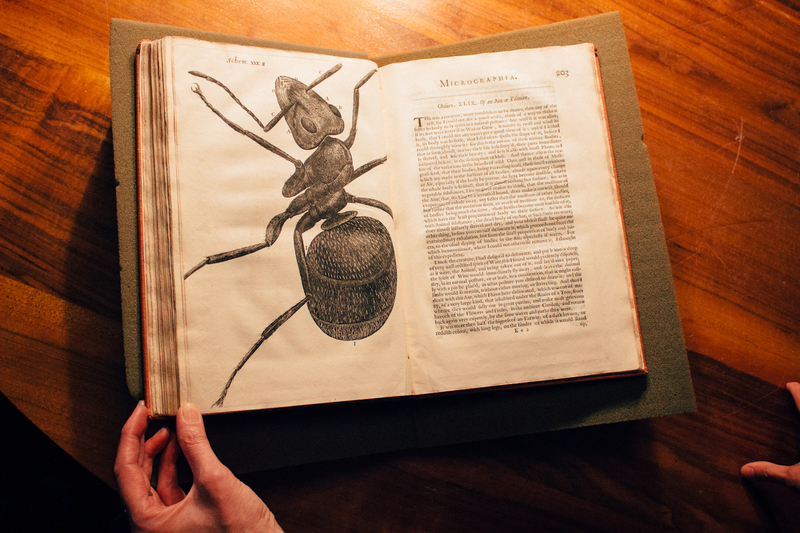 The description of the ant is Shaner’s favorite, because “you get this kind of very, very personal sense and account of this man who is completely fascinated by the world that he is bringing into view through this microscope, and of the various kinds of struggles that he goes through in order to create the images.” The solution that Hooke eventually landed on was to douse the ant in well-rectified spirit of wine. The ant would drown, but then the alcohol would evaporate away, and the creature would be left in a natural posture. Special thanks to Arlene Shaner and the New York Academy of Medicine. There's a lot to say about nothing.